After last weeks post we realised that most people haven’t got a clue about some of the things we were talking about. With that in mind over the coming weeks we are going to be talking a bit about some more in depth coffee stuff… or more basic coffee stuff, depending on how you look at it. Like, ‘what actually is a coffee bean?’ or ‘is it even a bean?’ (clue – it’s not!). Where does this bean come from and what is done to it so that we can make coffee from it? The answers are all to come. This week we want to tell you about another way to expand your coffee knowledge – our coffee courses, starting with our cupping courses. 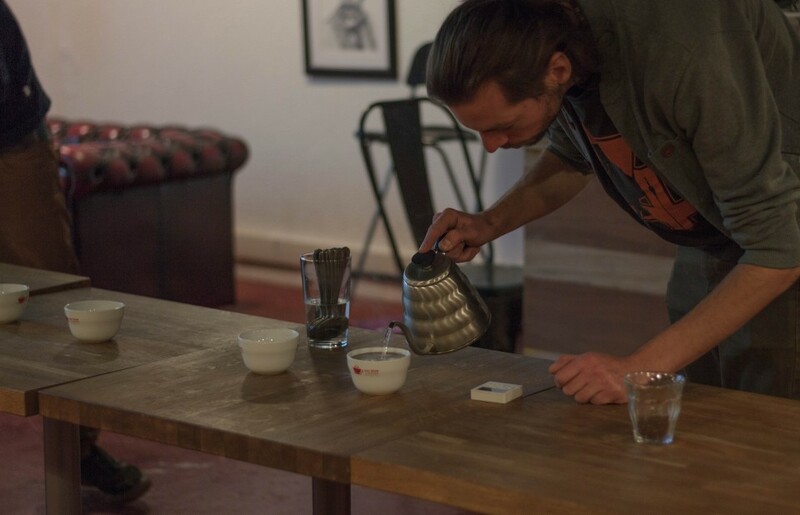 Coffee cupping is a structured way of tasting coffees lined up against each other. It involves spoons and some competitive slurping, for scientific reasons that will be explained! Think wine tasting but more fun and cool – and we won’t be snobby about it. Not that wine tasting is snobby… digging ourselves a hole here. We are running regular cupping sessions for beginners where you will be able to learn the whole process and you will get the opportunity to taste some good coffees. We will also throw in some very average ones, so that you can see the difference, side by side. We have also got gift vouchers available for our courses which would make great Christmas presents, so that the coffee geek in your life is sorted! 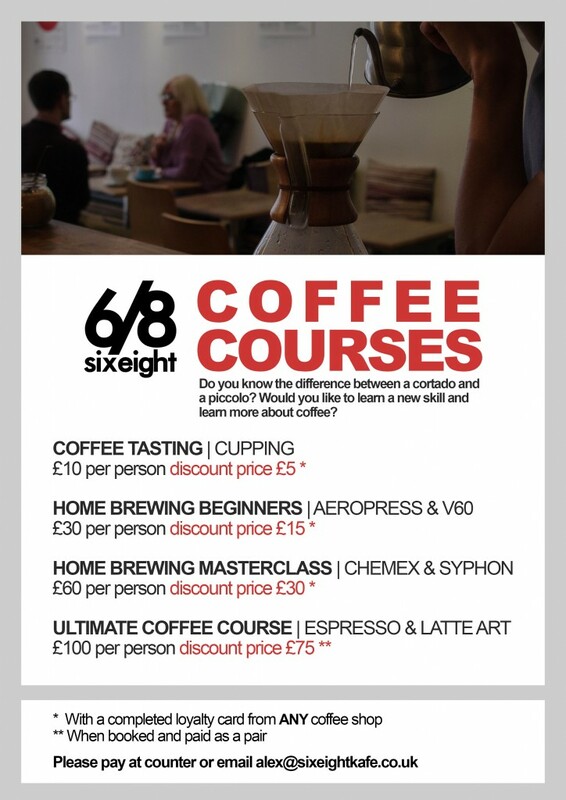 Six Eight Kafé is an independent coffee shop open in the centre of Birmingham, using cutting edge technology and award winning roasters.